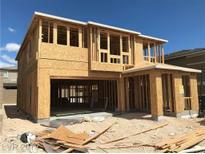 Find Summerlin, NV New Homes for sale. View Photos, Maps and MLS Data Now! 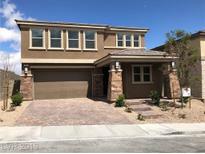 Summerlin Village - Quartz counters, SS appliances w/cooktop & Built-In Oven w Microwave, Tankless Water Heater, Designer Interior paint MLS#2087330. 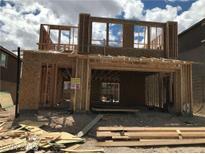 KB Home Nevada Inc.
Summerlin Village - Additional insulation added. Covered Patio and Balcony. MLS#2087343. KB Home Nevada Inc.
Summerlin Village - Covered patio and Balcony. No rear neighbor. MLS#2087350. KB Home Nevada Inc.
Summerlin Village - Just buy it, it's awesome. MLS#2087334. 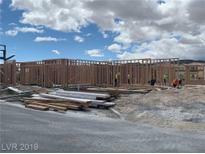 KB Home Nevada Inc.
Coronado At Summerlin - Currently under construction... please contact us to learn more about this opportunity today. Thank you. MLS#2088005. Coldwell Banker Premier. Coronado At Summerlin - Currently under construction... please contact us to learn more about this opportunity today. Thank you. MLS#2088049. Coldwell Banker Premier. Coronado At Summerlin - Currently under construction... please contact us to learn more about this opportunity today. Thank you. MLS#2088045. Coldwell Banker Premier. Coronado At Summerlin - Please contact us to learn more about this opportunity today. Thank you. MLS#2088050. Coldwell Banker Premier. Coronado At Summerlin - Currently under construction... please contact us to learn more about this opportunity today. Thank you. MLS#2087876. Coldwell Banker Premier. Coronado At Summerlin - Currently under construction...please contact us to learn more about this opportunity today. Thank you. MLS#2087871. Coldwell Banker Premier. Coronado At Summerlin - Currently under construction...please contact us to learn more about this opportunity today. Thank you. MLS#2087882. Coldwell Banker Premier. Summerlin Village - Upstairs bedrooms and entertaining areas command panoramic views. MLS#2083781. Presenting Vegas. Sedona In The Pueblo Summerlin - Available for a July move-in, featuring premium Charcoal cabinets, beautiful New Caledonia granite countertops throughout, all appliances with window coverings included and buyer may still select flooring! MLS#2082877. Realty ONE Group, Inc.
Highland Hills Summerlin - This beautiful Richmond American home features an extended laundry room w/sink and cabinets, multi-slide door at great room, tray ceiling at great room, Premier maple cabinets w/merlot finish and door hardware; additional cabinets at nook, stainless-steel kitchen sink and faucet, additional and upgraded insulation, garage service door, + much more! MLS#2083108. Real Estate Consultants of Nv. Woodlands - This home is part of Lennar’s Everything’s Included™ package that features amazing upgrades such as home automation, wi-fi certification, and much more. MLS#2081760. Lennar Sales Corp.
Highland Hills Summerlin - This gorgeous Richmond American home features a first-floor bedroom w/full bath, covered patio, stainless-steel appliance pkg., Gourmet maple cabinets w/painted linen finish, quartz kitchen countertops, additional lighting and ceiling fan prewires, ceramic tile flooring throughout main level; garage door opener, upgraded stainless-steel kitchen faucet and apron-front sink, window coverings, Mission style stair rails, + more! ! MLS#2082110. Real Estate Consultants of Nv. Woodlands - This home is part of Lennar’s Everything’s Included™ package that features amazing upgrades such as home automation, wi-fi certification, and much more. MLS#2081076. Lennar Sales Corp.
Highland Hills Summerlin - w/dual-fuel range,, home theater pkg., security system, complete landscaping w/pool, + much more! MLS#2079852. Real Estate Consultants of Nv. Highland Hills Summerlin - Call sales office today for up to the minute pricing and upgrades. 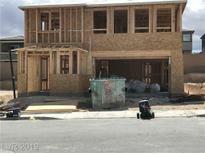 MLS#2079858. Real Estate Consultants of Nv. Summerlin Village - Master bedroom has a beautiful balcony to enjoy & a jr.master with a private balcony as well.A must see! MLS#2079927. Wardley Real Estate. Summerlin Village - MB upstairs fireplace, walk out to balcony. MLS#2078319. RE/MAX Excellence. Highland Hills Summerlin - This gorgeous Richmond American Model Home sits on a cul-de-sac homesite and features a wine room, courtyard w/gate, extended covered patio w/multi-slide doors, contemporary fireplace at great room, French doors and bookcase at study; upgraded quartz bath and kitchen countertop, home theater pkg., security system, complete landscaping w/pool, much more -- ask about additional upgrades! MLS#2079860. Real Estate Consultants of Nv.